Millennials are forever proving that all those criticisms leveled against their feeble and fragile generation are true. Yes, Millennials have killed yet another thing. In this case, it’s something so fundamental that it may have seemed unkillable, but apparently isn’t: knowing how to be an adult. Younger people need not look far on the internet to find popular condemnation from card-carrying grown-ups about our many shortcomings. We are, we are often told, simpering, self-indulgent, immune-to-difficulty know-nothings, overgrown toddlers who commute on children’s toys and demand cucumber water in our workplaces. Luckily, the rough road to adulthood can be paved with adulting classes. The Adulting Collective, a startup venture out of Portland, Maine, made a big splash about two years ago after national news outlets reported on its in-person events. In its short lifespan, the Collective has offered up lessons, either guided or via online video, in such varied life skills as bike safety, holiday gift-giving for the cash-strapped, putting together a monthly budget, opening a bottle of wine without a corkscrew, and assembling a weekly nutritional plan. Their target audience: “emerging adults,” the massive 93-million-strong demographic group composed of people in their 20s and early 30s. Good grief. 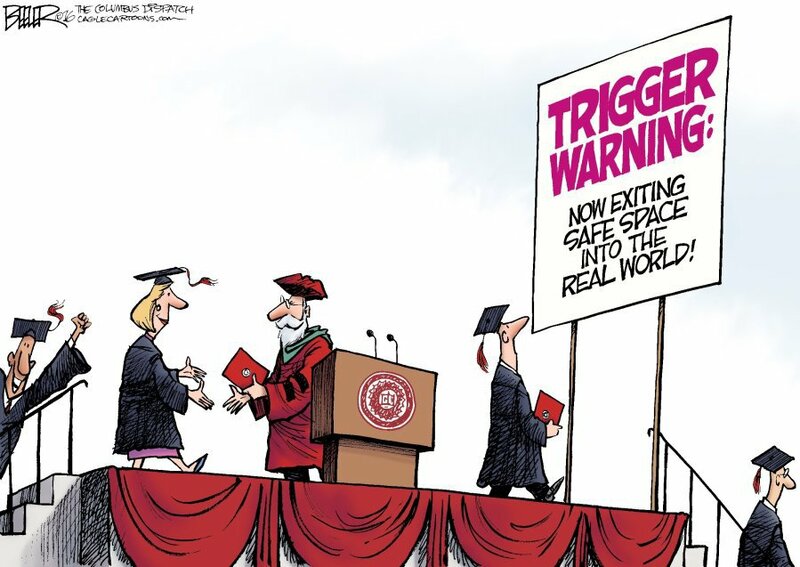 Snowflakes, please take our class!